It’s here! Thanksgiving week has arrived and I’m so excited to share my round-up of recipes to make your day delicious. I cover all the bases: Appetizers + Snacks, Sides, Mains, Desserts, and Drinks. If you’d like some breakfast inspiration, check out last year’s guide or our Breakfast section on the blog. Let’s dig in! That does it! We hope you guys have a delicious spread on your table this Thanksgiving and are surrounded by people you love. We’re so grateful for you guys and all of your encouragement and support. We couldn’t do this thing without you. Hope you have a great holiday week, friends. Cheers! Just another vote to please make the pic’s ckickable, or at least labeled, or do pic then link, something. Love the recipes and appreciate the round up! Have you ever thought of doing a holiday meal plan round-up? I mean, something so that you can reuse the same ingredients across dishes or like the online book with like a “buy these groceries and you can make all the things!” Also would be really helpful. P.S. bought your book and loved it!!! Great suggestions! Will consider those for next year! Thank you for all the holiday gatherings cooking suggestions ! Love this post! Thank you! Will you be coming out with a new cookbook soon? I have your Everyday Cooking but it doesn’t have the Vegan Pumpkin Pie Bars or the Mediterranean Baked Sweet Potatoes in it. I would love another cookbook from you. Thanks again! Thanks Barbara! We do plan to work on another, yes! Would love to get recipe of that Beet Humus Recipe. WE have allergies and beets is something a family member can eat. Blessed Thanksgiving. Love all your information. Recipes are as bad as Genealogy for me. I love and appreciate your work. Your recipes are easy, fun to do and best of all the end product is delicious. Thanks for making a vegan lifestyle so easy and fun. Thank you Dana and John! What a wonderful roundup of recipes. Happy Thanksgiving. Enjoy your day together. Thank you for this amazing selection, it all looks delicious. What a help this has been! 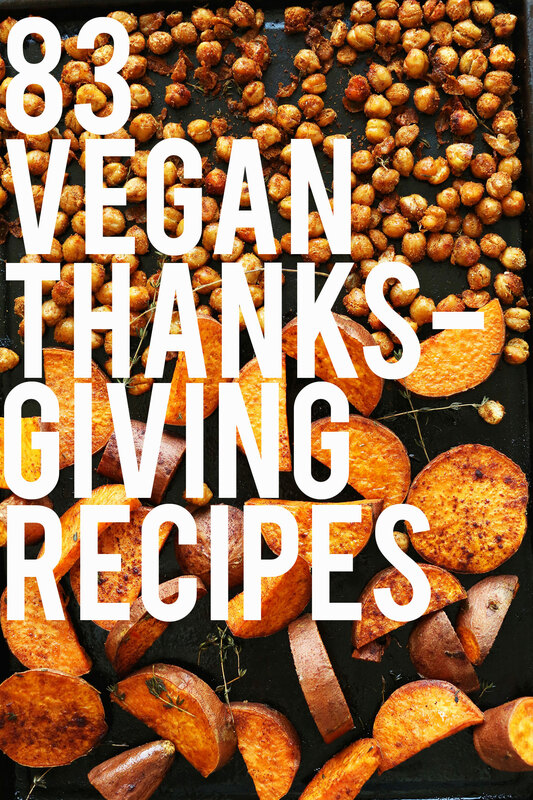 I have been searching for some great vegan side dishes to bring to Thanksgiving. Thanks for the carefully curated list! Holy Moly!! This is totally amazing. You have really provided such a wonderful selection here. I can hardly wait to try them all. Thank you so much. Thank you for posting all of this! My thanksgiving consists mainly of your recipes. Can’t wait to eat tomorrow. Have a good one! Thank you do much for this list! I’m cooking 7 dishes today-all from your blog and cookbook! Looking at this list I’m wondering if I don’t have time for a couple more. Everything is always delicious, so I know whatever I make it will be a hit. Happy Thanksgiving! This roundup is absolutely fabulous!!! Thank you so much for sharing Dana! Thanks for this! I wish the pictures were clickable links because it gets tough to remember all the numbers..
thanks for the feedback. next time! Ditto!! (or at least have the pix labeled — even if just while hovering with the mouse — so it’s easier to know when looking at them what they are.) Keep up the great work and happy Thanksgiving!